Denver is a great city. With awesome weather, being close to the mountains and plenty to do what’s not to like? But there is more to Denver than that. With transplants from around the country and cool natives, there are distinct cultures and feelings from place to place around the city and surrounding area. There are over 50 neighborhoods in Denver, each with a unique feel. These range from cool city hubs to historic streets aligned with trees. Residents are inclined to share what part of the city they are from and each neighborhood, from The Highlands to Golden, ring a different tune in each other’s ears. Being able to spend time in each neighborhood is a fantastic experience. It allows you to discover cool local shops and restaurants that give off the feel of the area. Whether it is grabbing a burger on a patio or fine dining, there are great locations for different occasions throughout the city. There are also fun events in each neighborhood, from movies in the park to the recent Presidential debate. Fun events are always going on and many are great for all ages. While people watching can be a good time, there are also distinct taverns and restaurants to check out in each neighborhood. Participating in relaxed fun neighborhood nightlife is a good place to meet other locals or to find out about the area a bit more. It is exciting at times to have a change of pace, and by going to a nearby neighborhood spot just a mile away can present a completely different experience than one a mile in the other direction. This helps make Denver such a unique place. 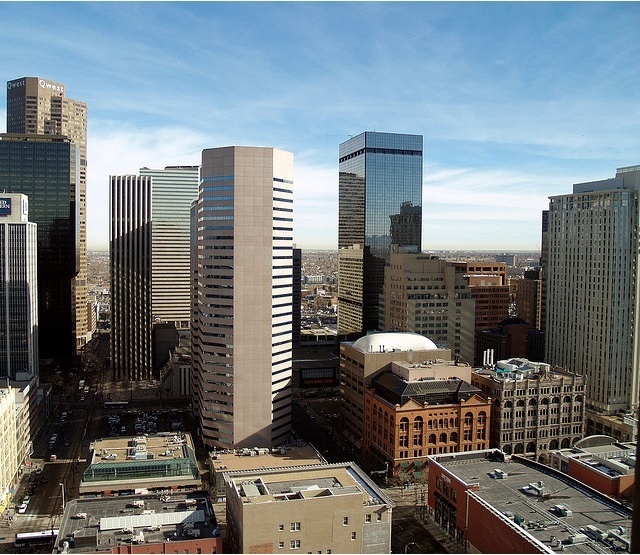 Denver neighborhoods are divided into different regions such as Central, North, Northeast, South, Southeast, Southwest, East and West. Each region has many neighborhoods, and while some of these can be fairly similar, a few are vastly different within each region. For example, The Highlands and Five Points are pretty close in regard to location, but each has a distinct feel that is fairly different from the other. Make it a priority to get around the city and explore new places. There are a wide range of activities, restaurants, bars and shopping centers that differ from neighborhood to neighborhood. Sometimes simply going to an area a couple of miles away can offer a fresh experience. It never hurts to break out of the ordinary. Andrew Yessen is a blogger for We Buy Ugly Houses. Check out your local franchise if you have any real estate needs.